Like a conglomerate auditing balance sheets, the Texas A&M University System has for six months been dissecting the financial contribution of every faculty member on its 11 campuses around the state, subtracting the salary of each from the tuition and research money he or she brings in. The resulting metrics present in stark detail exactly where the system gets the most and least bang for its payroll buck — and have raised the hackles of professors at all levels, who liken the approach to grading assembly-line workers on widget production. 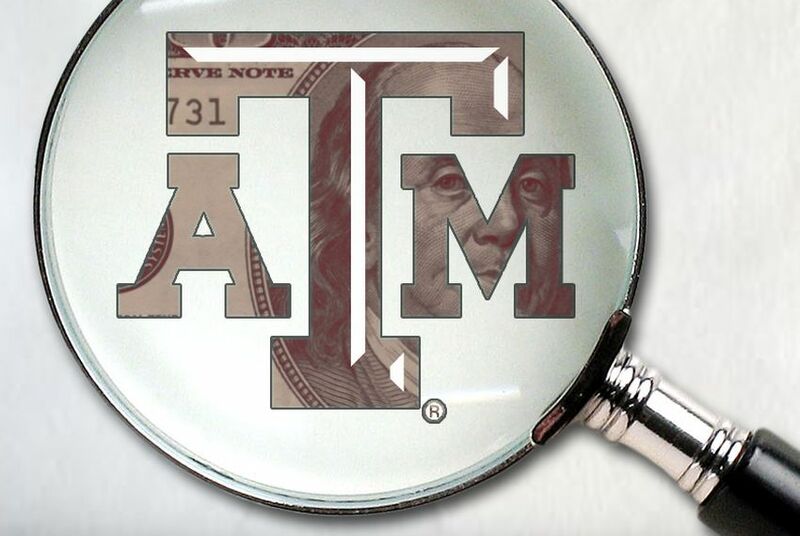 Like a conglomerate auditing balance sheets, the Texas A&M University System has for six months been dissecting the financial contribution of every faculty member on its 11 campuses, subtracting the salary of each from the tuition and research money he or she brings in. The resulting metrics present in stark detail exactly where the system gets the most and least bang for its payroll buck, and they've raised the hackles of professors at all levels, who liken the approach to grading assembly-line workers on widget production. A&M administrators maintain that the accountability exercise merely seeks to promote efficiency and shouldn’t be viewed as a “grade” for individual instructors. Faculty members counter that the career and hiring implications of such metrics are obvious, disturbing and unfair. Both agree that, for better or worse, the effort represents only the latest in a statewide trend toward laying bare the inner workings of higher education in the name of transparency — and of controlling runaway costs and rapidly rising tuition. Assurances that the approach won’t grow into a profit-loss model of education haven't dampened fears that it’s yet another push to commoditize college. Peter Hugill, a Texas A&M geology professor and the president of the local chapter of the American Association of University Professors, puts it this way: “My sense of what we’re seeing from our board of regents is basically a Fordist mentality in a post-modern period.” The students are model T's, Hugill asserts, and the professors merely push them down the track. "The student is a consumer"
Ashley says that A&M Chancellor Mike McKinney initiated the project as a way to demonstrate how well the system functioned as a steward of the state’s money. Though the data has yet to be finalized, Ashley has found that the system and all its colleges operate in the black, while just a few departments on a few campuses are floundering in the red. Hugill traces the Perry connection through the Texas Public Policy Foundation, or TPPF, the Austin-based conservative think tank and one of the more vocal groups arguing that students should be treated as consumers. The efficiency study resembles one of seven proposed “solutions” to the crisis in higher education put forward by TPPF and endorsed by Perry at its 2008 summit, which was attended by all of the A&M regents. Another measure already adopted by the A&M System is similar to a proposal made by TPPF: cash rewards for highly evaluated professors. TPPF's transparency push got a big boost in 2009 when state Rep. Lois Kolkhorst, R-Brenham, passed a bill requiring professors at all universities to make available — within three clicks from the university homepage — detailed information about department budgets, curricula and student evaluations of professors. Universities were required to comply by the beginning of the fall 2010 semester. "I believe that the student is a consumer and that enhanced transparency will help them make better choices," Kolkhorst told The Texas Tribune in May. Yet A&M's approach to efficiency differs from what TPPF preaches. The foundation essentially calls for dividing professors' salaries by the number of students they teach. Ashley says that if you’re just doing that, “you’re missing the whole boat.” Even the system he has devised, which takes research dollars into account and gives professors who teach smaller, upper-level courses weighted credit, “is far from perfect,” he admits. For one, it captures only a snapshot in time: fiscal year 2009. A professor could have spent the year working on a grant worth millions that won’t come through in time to be counted. And some research never registers. Hugill has authored five books and has two more on the way — none of which would be captured under the proposed measurements because they weren’t externally funded. He guesses that the study only logs about “40 to 50 percent” of what a professor actually does. Ashley agrees: Professors are only given credit for time spent in front of a class, though plenty of teaching happens elsewhere. But, he says, those are the only figures publicly available. The information contained in Ashley’s study is already public, compiled in at least four different reports that the university submits to the Texas Higher Education Coordinating Board, but faculty became uncomfortable when they realized that the system was aggregating the data and putting it under a microscope. Ashley hopes to update the study annually as a tool for department heads to use in boosting efficiency. He hopes that A&M's regents will give the study's conclusion its final blessing at their meeting at the end of the month. Along the way, he hopes to develop an easier-to-use public database.